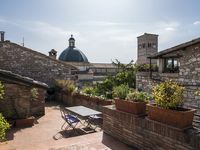 Property 14: Romantic Apartment "From Wand"
Farmhouse holidays in Umbria, the green heart of Italy, amongst art and nature. Property 27: Farmhouse holidays in Umbria, the green heart of Italy, amongst art and nature. Forte Sorgnano with Castle,apartments, restaurant, area relax and farm! Property 45: Forte Sorgnano with Castle,apartments, restaurant, area relax and farm!